Turkish pilots have been at Arizona's Luke Air Force Base since last July, schooling up at the US Air Force's Air Education and Training Command. While 56th Fighter Wing spokesperson Maj. Rebecca Heyse couldn't disclose to Military.com the number of pilots in the program, she did say that the first group of pilots and instructor-pilots had recently graduated and was now preparing to help instruct two more classes that have begun entry-level training. "Turkey currently has two F-35As at Luke Air Force Base, and two other aircraft are in final preparations to go to Luke," Joe DellaVedova, a spokesperson for the F-35 program, told Turkish Anadolu News Agency on Wednesday. "The first two aircraft are currently scheduled to arrive in the country in November." 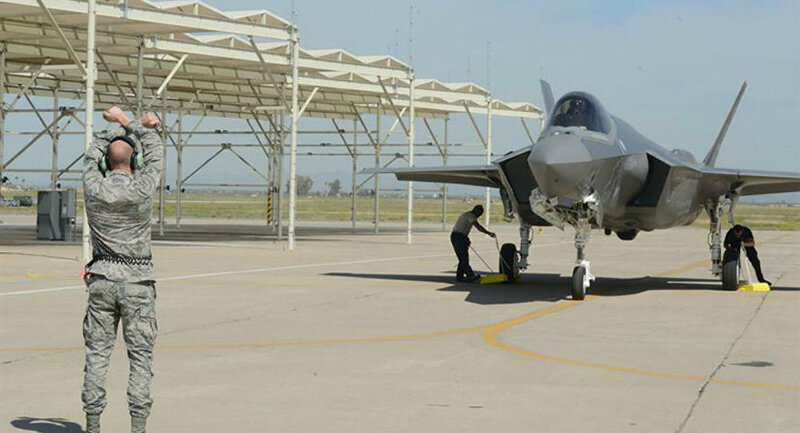 That's in line with Ankara's agreement with Washington, which says that the US must deliver the F-35s to Turkey within two years of the completion of US-supervised flight training, Turkish paper The Hurriyet Daily News noted. Turkey plans to buy 100 of the stealthy fighter-bombers, which are built by Lockheed Martin, and has participated in the development program since 2002. However, the US Congress has moved to block delivery of the advanced planes as a result of an ongoing spat centering on Ankara's decision to buy Russia's advanced S-400 air defense system instead of the US' Patriot missile system, which was much more expensive. "They will not get the F-35s if they take the S-400," US Department of Defense spokesperson Charlie Summers warned earlier this week, Sputnik noted. "The S-400 is a computer. The F-35 is a computer. You don't hook your computer to your adversary's computer, and that's basically what we would be doing," Katie Wheelbarger, US acting assistant secretary of defense for international security affairs, told Reuters. Turkish President Recep Tayyip Erdogan has remained adamant both that his country has the right to buy the Russian missile systems and that the F-35 deal will go ahead as planned. "There will be no backward steps on the S-400 issue. As for the Patriot [missile systems], if the US offers us acceptable conditions, we are open for them too," Erdogan told Turkish TV network TGRT earlier this week. While US Joint Chiefs Chairman Gen. Joseph Dunford said last Thursday at the Atlantic Council think tank that he "would have a hard time" justifying future F-35 sales to Turkey, Reuters noted that DoD officials continue to regard the dispute as a diplomatic one, and the Pentagon will follow the White House's or Congress' lead. As of now, however, Congress has made no formal move to stop the F-35 sale, although Military.com noted that such legislation could come this summer, as delivery of the first S-400s is expected in July.